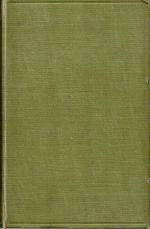 Hardback, 1st edn. Notable Scottish Trial. Green cloth/gilt lettering. Teg. Illus. + folding Map and Appendices. 321pp. 8vo. h/back. with previous owner's neat name insc. to ffep + small rubber address stamp o/w a lovely clean, bright Vg+ copy. A fairly heavy book which will require additional postage if shipped overseas.